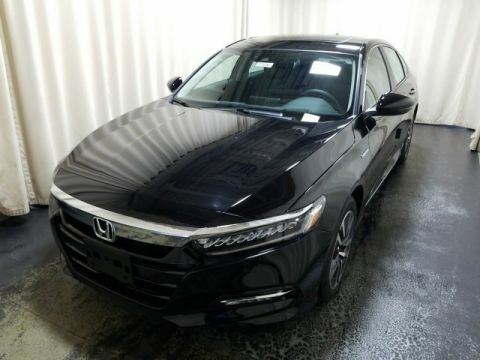 The Honda Sensing® safety suite is available on the Accord Hybrid, and this vehicle produce 47 combined mpg**, which make it a family-friendly sedan for drivers in Monroe and Monticello looking for their next vehicle. To learn more, find out how hybrid cars work and what the other Honda hybrid models are. Compare the Honda Accord Hybrid vs the Toyota Camry Hybrid at Middletown Honda near Goshen! * MSRP excluding tax, license, registration, $895.00 destination charge and options. Dealer prices may vary. ** 47 city/47 highway/47 combined mpg rating. Based on 2018 EPA mileage ratings. Use for comparison purposes only. Your mileage will vary depending on driving conditions, how you drive and maintain your vehicle, battery-package/condition and other factors.